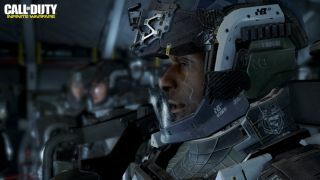 Now that Call of Duty: Infinite Warfare is officially out of the bag, pre-orders are likewise going live. And what sort of modern-day pre-order campaign would it be without exclusive incentives? While Activision is being tight-lipped about specifics, it seems that Target may have let the details slip a little early. According to a picture tweeted by YouTube streamer CheddarSombrero (the gaming community really does have the best names), Target's pre-order cards specifically refer to the code that pre-order customers receive as one that will grant them beta access. When and for how long such a beta would take place hasn't technically been announced, as the Call of Duty website only refers to a "future offer," but I'd say it's fairly likely to happen. When Black Ops 3 held a beta in late August of last year, it was the most popular beta in PS4 history. So… maybe don't be too surprised if we get details sooner rather than later.